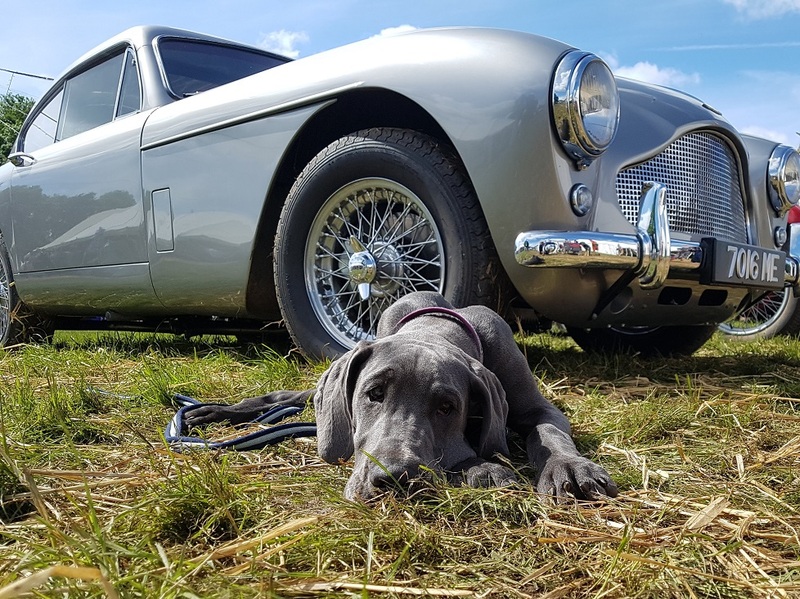 Event Description: The RUBiS Jersey International Motoring Festival is the largest annual motoring event in the Channel Islands, comprising competitive sprint and hillclimbs for classic & vintage cars and motorcycles. There is a full programme of events for touring cars and motorcycles and the largest static motor show in the Channel Islands featuring motor and ancillary trade stands and exhibits from all Jersey motoring clubs. Event Description: The Vintage Nostalgia Festival is a hidden gem in the heart of the Wylye valley....."sssh don't tell everyone! "The event focuses on the past and celebrates all that was great from before the turn of the century up to the 1980's. The event focuses on the past and celebrates all that was great from before the turn of the century up to the 1980's. Event Description: A Celebration of all things Vintage along the line at Abergynolwyn. Friday Evening: Free transport to and from wharf to show field bar open until 11.30pm Caf� serving fish & chips. Event Description: Event Navigation This is a one day event for closed wheel cars. Event Description: Major Classic Car Show and Autojumble. 94 Club Stands, Massive Autojumble and Trade area. Well over 2000 cars on show! Event Description: Goodwood has been announced as the new venue for The Supercar Event. It will offer once-in-a-lifetime passenger rides in some of the worlds most iconic supercars from just �20, raising money for The Childrens Trust charity, helping children with brain injury. The event offers the chance to experience exhilarating rides in world-class supercars, as well as a wide range of fun filled attractions and entertainment for the whole family to enjoy. 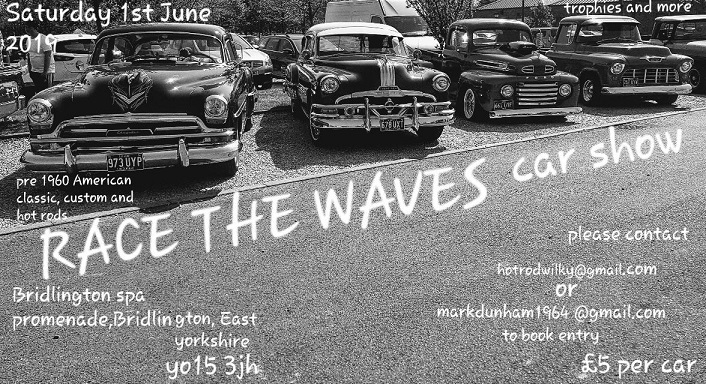 Event Description: An eclectic, quirky, foodie, arty, plantaholics wildlife event with classic cars, a vintage and a Steampunk twist! For 2019 the fair has made an unexpected and very exciting move to Amberley Museum where it will be staged amongst the exhibits at the museum in the chalk pit. The fair itself remains the same. Steampunk and vintage are two featured themes and we love to see people come dressed in these styles! 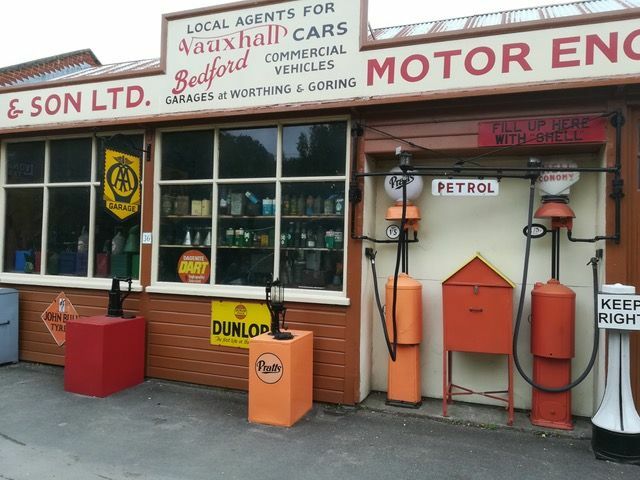 We are thrilled to be presenting the fair at Amberley Museum which is a registered charity as our venue rent will go to help maintain the valuable exhibits.If you haven't visited for several years I think you will be amazed and excited. There is SO much to see! We will have a steam train running especially for the weekend too! Of course travel to the museum is very easy as the railway station is right outside the museum. Event Description: Folkestone and Ashford Military Show is organised by a cadet group for charity and to help the Royal British Legion raise funds. It goes from strength to strength every year with attendance, from the ashes of the Sellindge Steam festival held at the site for 30 years. The all day two day event has entertainment in the entertainment marquee as well as an arena to display vehicles and a youth motocycle display team There are plenty of static displays and stalls as well as classic cars and motorcycles. With food stalls and a full funfair over the weekend, camping available. Event Description: Wolseley Owners Club will on a BMC Friends Together Club Stand together with Cambridge Oxford Owners Club (COOC) and Landcrab Owners Club International (LOCI) at the Tatton Park show. Number of Cars Attending: 60 expected. 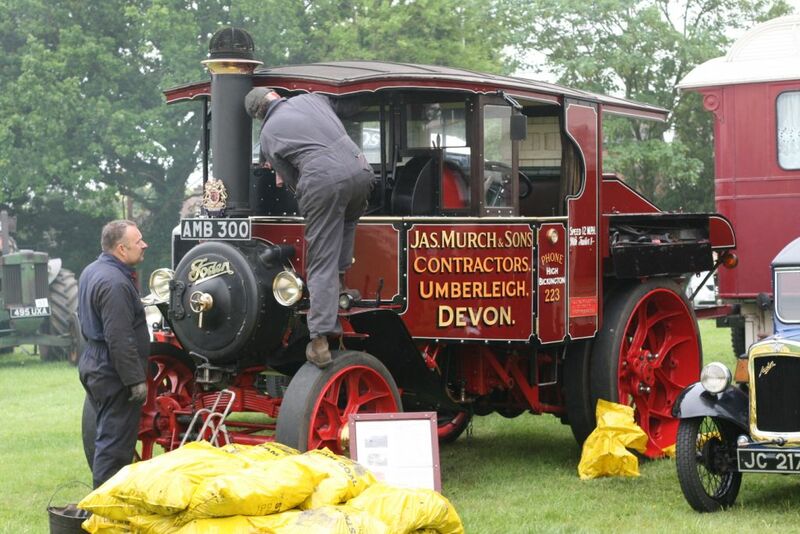 Event Description: The 2019 Steam Rally will take place at our new venue Malt Kiln Farm, Tincklers Lane, Eccleston, There are many various Arena Display�s throughout the weekend as well as live music on the stage near the beer tent. Supporting The Legacy Rainbow House, which helps children with brain injuries, disabilities and life limiting conditions. 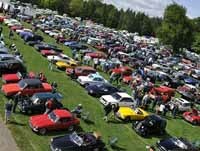 Event Description: Organised by Letchworth Garden City Classic & Vintage Car Club.Bring your classic, vintage, veteran, or modern thoroughbred vehicle. Bring a picnic too and join us in a beautiful rural setting for a quintessentially English day out. Refreshments, select trade stalls, vintage bicycles display, a Car of the Show award, and, by popular demand, the return of the superbly entertaining live band Fifth Wheel who wowed the show last year with their blend of rock/jazz/blues. Event Description: Best of British is the second meeting of the year at Shelsley Walsh. Saturday and Sunday have both practice and competition on each day, with practice in the morning and competition in the afternoon. The event also features a round of the Midland Hill Climb Championship (practice Saturday, competition Sunday). Event Description: Brighouse 1940s Weekend Commercial Street, Brighouse, West Yorkshire, Come and see what life was like in this significant time in our history as the town centre and shops are transformed. You�ll be able to sit in a Messerschmitt, see Churchill, learn to dance the Lindy Hop or dance the night away with the Ashby Big Band. This is just a flavour of the wonderful events taking place over this family fun weekend. The whole town centre will become the venue for a host of 1940�s events and displays from Spitfires to vintage vehicles, from home cooking to 1940�s dress and make up. Why not join in the fun and come dressed in 40�s style and help bring a real period feel to the town. Event Description: The ethos of MotoFest is to use Coventry�s heritage to pioneer the city�s future. It is free for the public to attend and is a not for profit event. In essence, we�re trying to make Coventry City Centre the �Edinburgh Festival� of motoring for one weekend a year. The festival is not only a heritage event therefore but also a showcase for what is happening now and in the future: The beating heart of automotive culture. Event Description: As a part of the massive Race the waves beach racing event that runs over 2 days there will be a classic car show on the Saturday with trophies in different categories. There are loads of events over the weekend including a steampunk festival and vintage hot rod and bike racing on the beach. This event is a pre book event due to limited space and entrants are expected from USA and Europe. Event Description: Harewood Hill Climb Not forming part of the Speed Championship but having accepted their invitation the VSCC will no doubt have a strong presence at this popular hill climb. Event Description: Peterborough Armed Forces Day Committee are proud to announce that we have taken over the organisation of The Peterborough Classic & Vintage Vehicle Festival. The show has been running for 5 years and each year has grown in size, with a new team behind it, we are hoping to take the show to the next level. Number of Cars Attending: As many as we can!